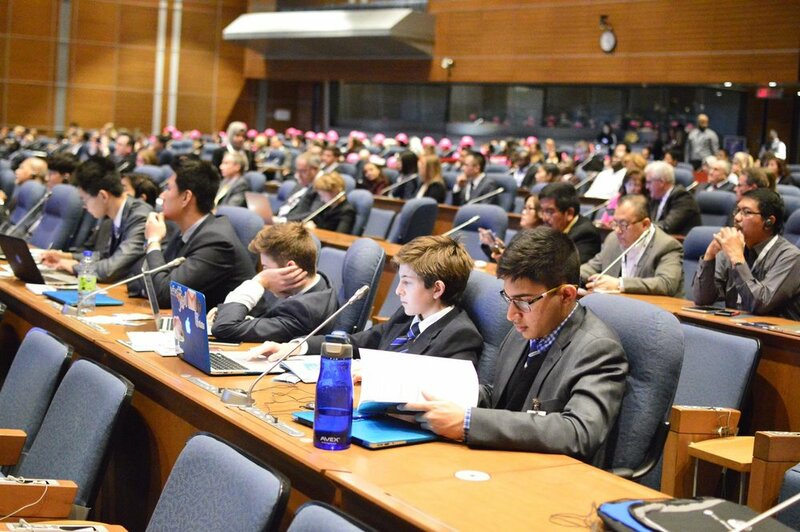 In 2017, Concordia Model United Nations and the International Civil Aviation Organization partnered to create the Model ICAO Forum held during the first Next Generation of Aviation Professionals (NGAP) Global Summit. This project was made to raise awareness of issues relating to civil aviation and inspire a new generation of aviation professionals. The forum engaged young people from all seven continents of the world in discussions on current issues critical to the operations of ICAO and the international civil aviation community. The Forum targeted students pursuing courses in airport or airline management, aeronautical engineering, aviation law, government, international relations, public policy, economics, and environment, as well as other fields related to civil aviation. Case studies in the field of civil aviation, prepared by ICAO technical officers, enabled students attending the Forum to deliberate and present innovative initiatives that increased enthusiasm among the younger generation in the varied sectors and operations of civil aviation. As of 2018, this partnership has expanded and brought the Model ICAO Forum to Shenzhen, China. Together, ICAO and ConMUN continue to foster the next generation in civil aviation.